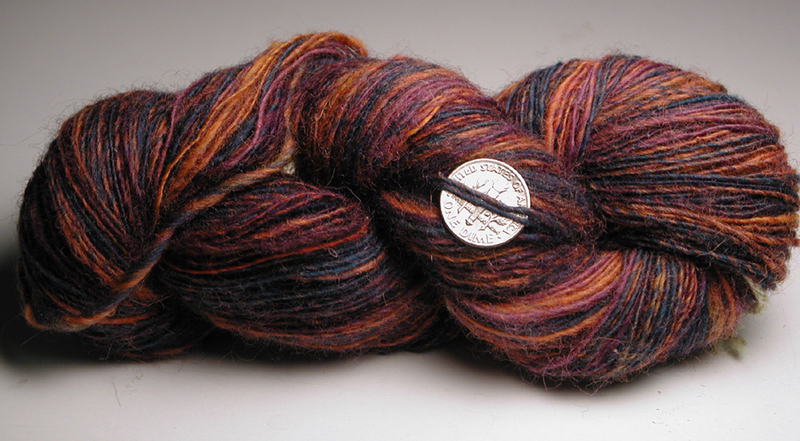 It's called Mansfield Park, because that's what was on PBS as I finished spinning it. 1.5 oz, 270 yards. The wool was given to me, I'm not sure exactly what it is. Gem Sweater is gorgeous, it reminds me very much of a beautiful sweater my mom knit years ago. I love love love electric goldfish. Also Mermaid's merkin. By that reasoning, I should be calling this "The Breakfast Club." But I'd already named it Zurov. 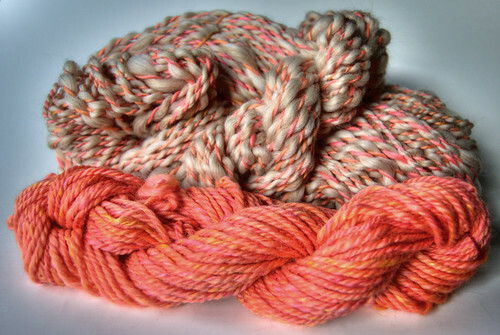 More sock yarn. This is my first dye and spin (and knit) roving, and I love it. It's got a lot more yellow-green than the picture lets on. Must go to bed now. I've been spinning like crazy, because I need to start knitting tomorrow. 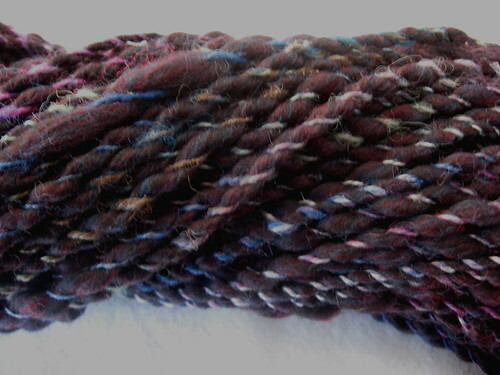 Hello everybody, this week I spun twilight, 156 yards of black Merino Wool, plied with some silk I dyed last month. I love this yarn. Fiber Friday always gives me an incentive to put my skeins out there. Thanks Craftster! I absolutely love Fancy Pants! Everything is gorgeous ! I wish I could have a bigger stash of wool ! I didn't get any spinning done this week (we're all sick! ), but I wanted to say that I LOVE everybody's yarns this week. How beautiful! 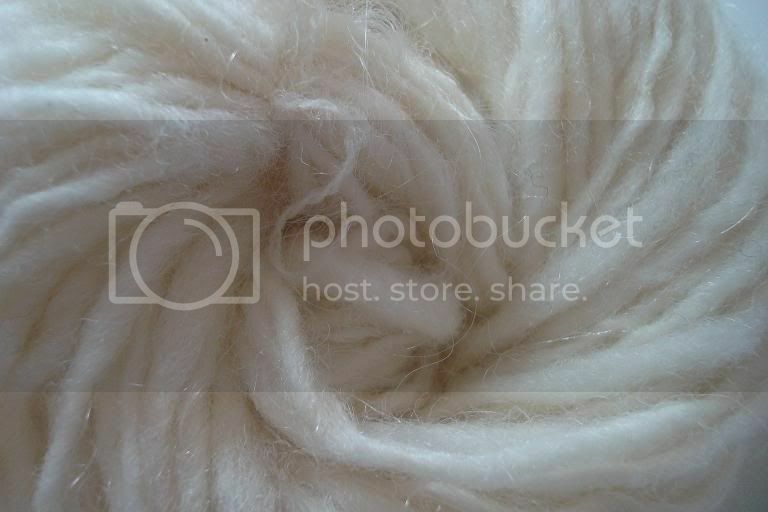 The beige and pinky skeins are a total of 195 yards and 11 1/4 ounces, and the pink skein is the leftover yarn navaho plied - 61 yards and 2 1/4 ounces. 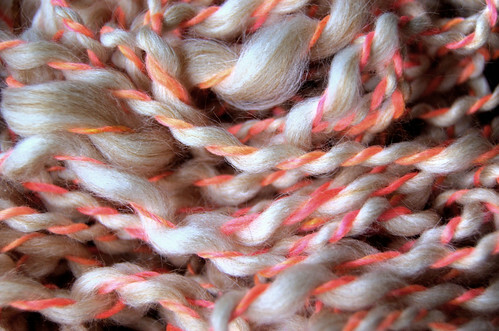 The beige and pink yarn is really soft and fluffy, since I spun some really fat areas of the beige ply. Also, I really, really, really love Picasso's Paintbrush and Electric Goldfish. i love the beige and coral-y one. wow! everyone's yarn looks soo pretty! here's my contribution. i missed last friday (which was the top left "sunset" one) i just recently got my own wheel. which has made my addiction worse.